Hiring Company Drivers | Manning Transfer Inc. Founded in 1970, Manning Transfer is family-owned and operated, providing specialized transportation services throughout the lower 48 United States. At Manning, we are committed to offering a variety of driving opportunities that will fit any lifestyle. You can join our team as a company driver or an owner-operator. 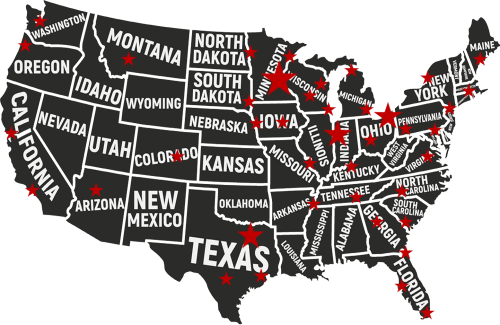 With developed lanes throughout the country, we have the freight and team you need to build a successful strategy that maximizes your earning potential and home time. We deliver on our promise to always treat the relationship with our drivers as a partnership based on mutual trust, respect, and dedication to excellence. That’s why so many of our drivers and employees have called Manning home for years. In fact, 43% of our drivers have been with us over 5 years and a whopping 27% over 10 years! We love what we do and we have what it takes to help drive your career in trucking to the next level. "There is a reason a majority of the drivers and contractors have been here over 10 years. It's a place to call home." "You truly feel as part of the family when you work here. The drivers are professional and willing to help anyone. The dispatchers care about the drivers and listen to the drivers. I truly enjoy coming to work everyday." "Great company with superior service. Great people to work with." "I've been a customer of Manning transfer for years and they are always great to deal with.... awesome drivers, fair pricing, and never had a claim." "I just love working here. Everybody makes you feel like family." "Don't plan on going anywhere. Great People." "We use these guys for both our volume LTL and truckload business almost weekly and its outstanding to know once they accept the tender you do not have to worry as they will meet or exceed expectation every time at a competitive price! Fantastic family culture from the top down and a real appreciation for their employees. I would recommend Manning Transfer as a carrier or employer to anyone in search of either!" "We have used Manning Transfer, Inc. for a number of years to haul our product and they have done a great job. Their dispatch people and drivers are very courteous and pleasant to work with. Manning's sales department makes sure they know and understand the needs of our business and follows through to make sure deliveries were done right. Manning Transfer does things right!" "After many bad experiences with freight forwarders and brokers we decided to go straight to the freight company. We chose Manning because of their expertise in handling delicate freight and have had good experiences with their drivers in the past. All of our shipments are very time sensitive and we have never had a problem with Manning Transfer, Inc."